Whenever we need the exact right bottle of anything, we head to award-winning Wally’s Wine & Spirits in Westwood (they also have a restaurant/shop in Beverly Hills). The crew of “wine geeks, beer nerds, and cheesemongers” have been helping Angelenos make perfect pairings since 1968. 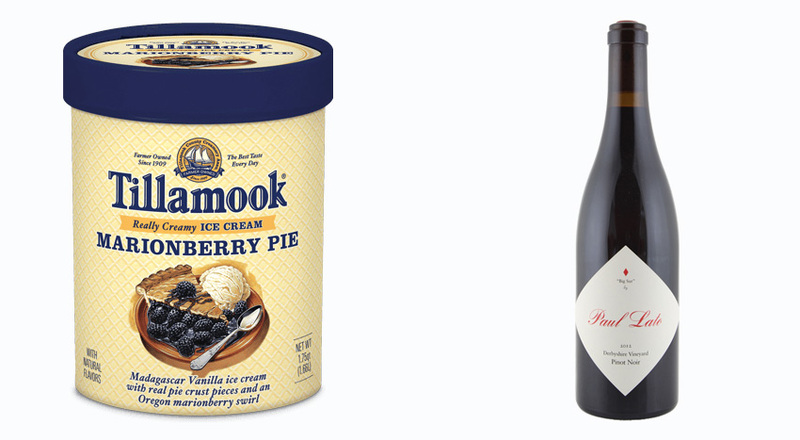 We walked in and asked them to pair two of our favorite things: wine and creamy Tillamook Ice Cream. Here is the sweet lowdown from buyer Perry Koon. 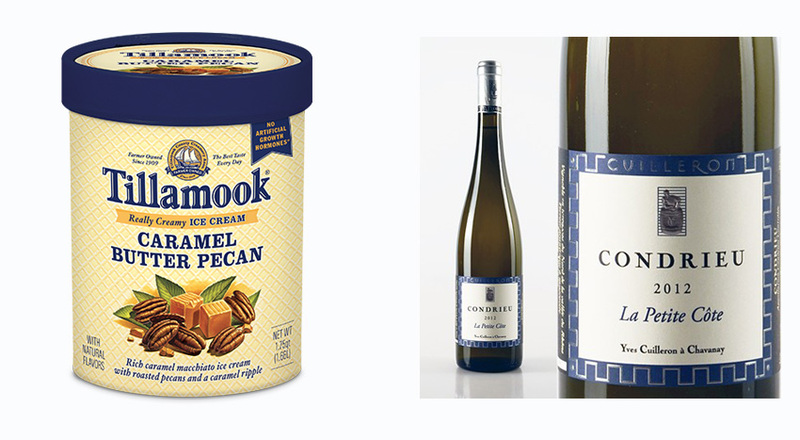 Koon did not steer us towards the dessert wines but based his selections on the characteristics in the wines and in the Tillamook Ice Creams. 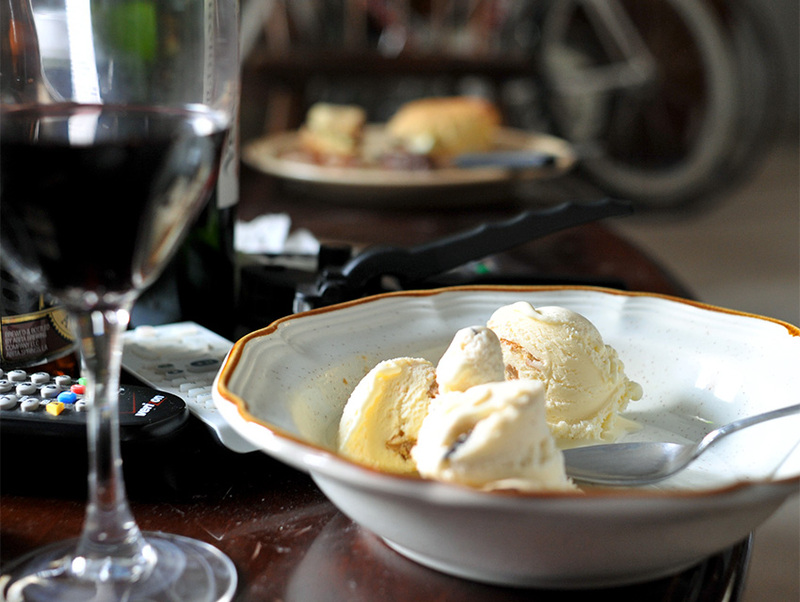 “You can choose a dessert wine,” he advised, “it’s just that you have so much sugar already in the ice cream—going decadent upon decadent doesn’t always work out. Usually you want opposing characteristics to make it work well. 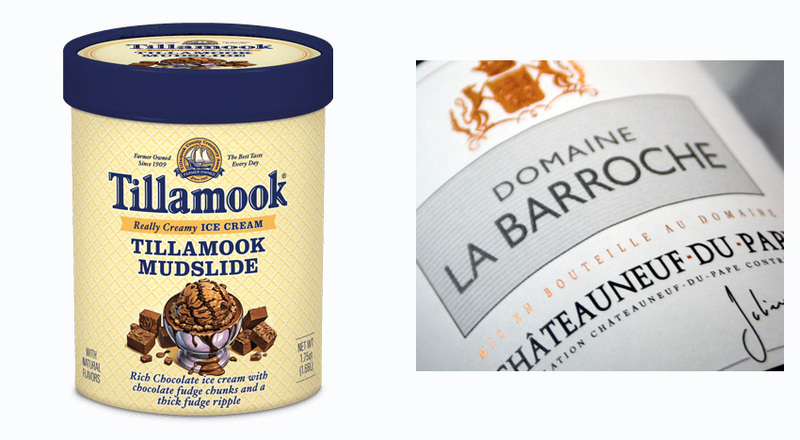 These wines have notes that are consistent in each of the ice creams but I think they will ultimately end up reflecting it and also pairing and merging very well.” Here are Koon’s recommendations for a few of our favorite Tillamook flavors. Why? It has a viscous texture with notes of stone fruit and honey that will merge nicely with the roasted pecans and caramel. Why? Its light body and rich cherry notes will compliment the piecrust. Why? 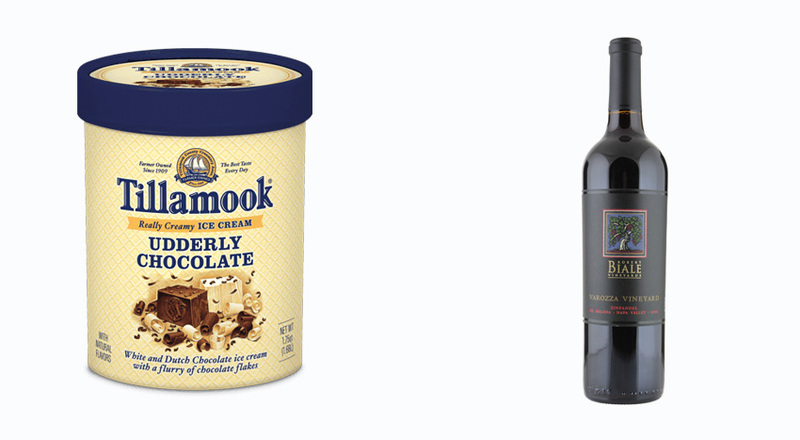 The wine’s rich body, dark fruits, and light smoky notes highlight the chocolatey decadence. Why? The rich, fruity flavors combined with a hint of spice are the perfect balance to the chocolate-heavy dessert. Why? 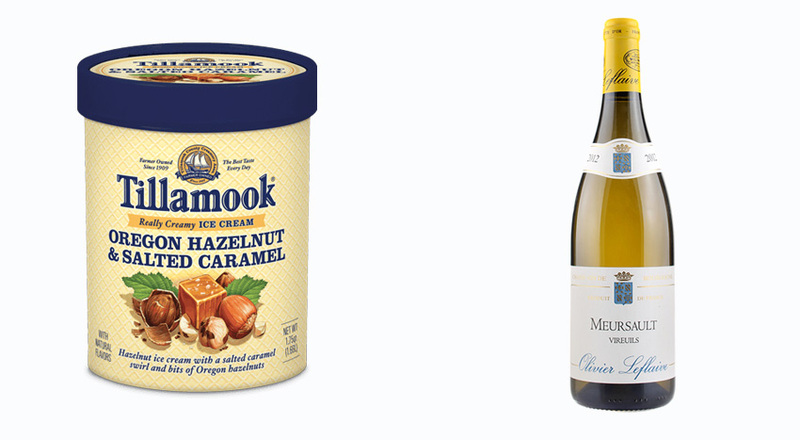 The nuttiness of the ice cream will pair well with the intrinsic toasty, buttery character that you get out of some of the oakier chardonnays.